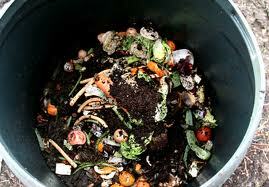 Compost is any form of well decayed organic matter. It is a living culture like yoghurt. It is a colony of micro-ogranisms that convert organic matter into humic acid, locking up the nutrients in very large molecules that are not readily water-soluble. This means they do not get leached out of your soil as soluble fertilisers do. The nutrients are not “force-fed” to plants as they take in water. Plants can absorb and digest the nutrients as they need if for healthy growth. Making compost is a process of cultivating these micro-organisms. They need water, air, lots of carbon rich food, not too much nitrogen rich food, micronutrients, an acid environment and heat.